Long Range CCD Barcode Scanner BS7930B – Atac Technology Co., Ltd. 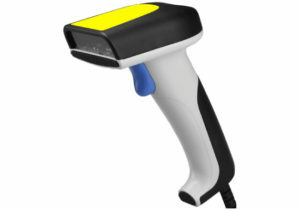 This CCD Hand-held Barcode Scanner is optimized for the rapid reading of 1D symbologies quickly and accurately. This ergonomic hand-held scanner is able to read 1D barcodes and can be used in a wide variety of markets, including retail, logistics and light industry applications. Excellent scanning performance on all type of bar codes including Symbology (RSS). Scan Rate : 230 Scans/Sec.